The Royal College of Chiropractors is pleased to announce that a number of bursaries are to be awarded for the 2017/18 academic year to enable members to register for Masters-level modules in Research Methods, Evidence-based Practice or Clinical Audit. For more information and to apply visit: Research Study Bursaries. Deadline: 12 noon, Friday 27th October 2017. 2018 AGM and conference dates announced! We are delighted to announce the Royal College of Chiropractors conference dates for next year. Our 2018 AGM and Winter Conference will take place in London on Wednesday 31st January and the 2018 Summer Conference will be held in Birmingham on Saturday 2nd June. Registration dates will be announced nearer the time. 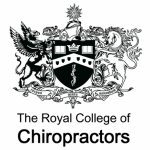 The Royal College of Chiropractors is now a non-commercial partner of the National Institute of Health Research (NIHR). This means that appropriate research studies funded through the RCC’s eligible funding streams are now entitled to access NHS support via the NIHR Clinical Research Network. Two major sporting events in London this summer involve Chiropractors providing support to elite athletes from around the world. A group of 11 Sports Chiropractors are working at the World Para Athletics Championships, from 14-23 July, and at the International Association of Athletics Federations (IAAF) World Athletics Championships from 4-13 August 2017. The championships, which are being held at the Queen Elizabeth Olympic Park, involve 3,300 athletes from more than 200 countries. Chiropractors are working alongside physiotherapists, osteopaths, sports massage therapists, sports doctors, pharmacists and radiologists to provide a fantastic service for the athletes’ needs. Meriel Davis, Sports Chiropractor and Member of the Royal College of Chiropractors’ Sport and Exercise Faculty, said “It’s an amazing opportunity to be involved at events such as these where members of different healthcare professions work together as a team to provide high quality, athlete-centred care”. These events mark the first time that the World Para Athletics Championships and the IAAF World Championships have been hosted by the same city in the same summer.